Seven-pin tubular locks are commonly found securing payphones, bikes, lock boxes and vending machines. This type of lock differs from a normal keyed lock because its keyhole is a circular shape, designed in such a way to make it difficult for thieves to pick it open. If you have lost the key to a tubular lock, however, it can be opened in a few minutes with the right type of pick. If you have an older tubular lock, manufactured before 2005, you may also be able to open it with only a ballpoint pen. 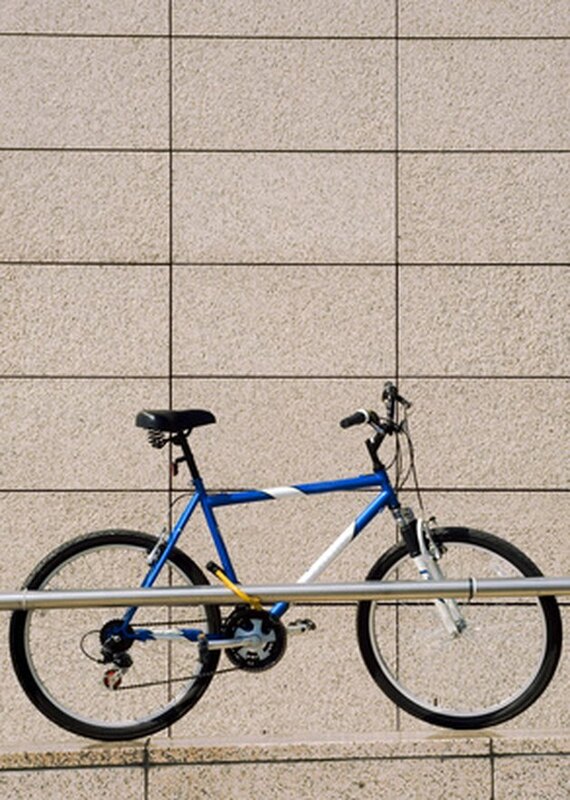 Tubular locks are often used as a method of bicycle security. Twist the seven-pin lock pick's tightening bolt to the left to loosen it. Press the front of the pick gently against a flat surface to adjust the pins. Line the pick up with the lock, ensuring that the pin inside the pick is even with the lock's notch. Twist the tightening bolt to the right to tighten it, then slide the pick into the lock. Push the pick inward, while turning the pick to the right. Eventually, the pick presses against a spring. Continue turning the pick and pushing inward. This functions as the key, and the lock opens. Cut off the end of a ballpoint pen with scissors. Remove the ink tube inside the pen. Use the scissors to cut four vertical notches at the back of the pen. This allows the pen to be flexible as it is inserted into the lock. Slide the cut end of the pen into the lock. You may need to use force to get the pen into the lock all the way. Shake the lock vigorously while holding the pen with your other hand. This causes the lock to open.